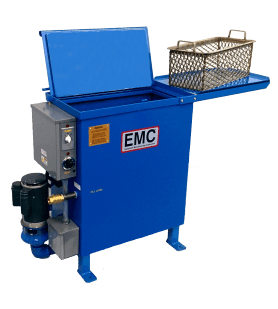 Established in 1981, Equipment Manufacturing Corporation (EMC®) is committed to building the highest quality industrial waste water evaporators and aqueous parts washers and small parts washer cleaning stations. All metal fabrication, assembly and other major processes are performed on site to ensure consistent and proven quality at a reasonable price. 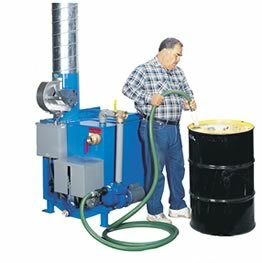 Our DESIGN PHILOSOPHY from the beginning has been to incorporate the most common features desired in wastewater evaporator and parts washers and incorporate them as standard features on all of our equipment. 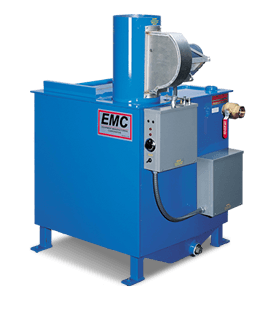 For example, all our parts washers have fully insulated wash cabinets, an adjustable oil skimmer, low water shutoff, and a 7 day timer standard. 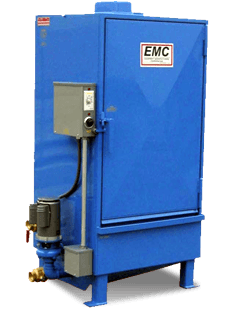 All of our Water Eater® industrial wastewater evaporators have removable covers for easy clean out, insulated tanks for energy efficiency, and redundant shutdown systems. Our MANUFACTURING PHILOSOPHY is to take our proven design and build production style equipment, using only heavy duty industrial grade components which are easily obtainable “off the shelf” items. By building only production style equipment, no custom systems, in the above manner , we are able to offer high quality and proven equipment while keeping our manufacturing costs in line. These savings are passed onto the customer in the form of lower prices. We appreciate you stopping by our website. Please use the navigation bar above for more information on our products. Feel free to contact us at the addresses listed below.